to new ideas and styles of bachata. We offer anywhere from 2-4 special events a year, where we bring International and National dancers to our general area to teach workshops and social dance. Our idea is simple: Unity. Therefore we feature ONE workshop per hour, and ONE room of Bachata to dance in at night. It is our hope that when you come to our events, you enter as strangers, but leave as friends. Below you can see some our upcoming events! 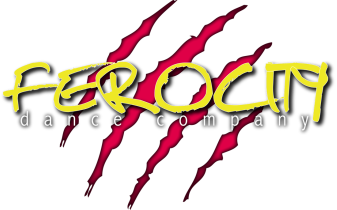 FEROCITY 7: Seven Year Anniversary Bash! Come and celebrate Seven Years of Fierce with us! A weekend of learning and celebrations await us - thank you for all the love and support throughout the years! The Masters of Bachata TAKEOVER is a series of events that we put on that used to be called the DC Bachata Masters. We have grown this event from single artist, to multi artist! We bring artists with specializations in different styles of bachata, and come with a single room mentality. This year we have one in Virginia Beach, VA - we hope to see you this year! Join Us for Sensual Bachata Workshops with Kat Arias ! Kat makes the trip to Towson twice a month to bring these workshops to those who find it difficult to make it to Falls Church. Workshops will go in depth regarding differing techniques, hand holds, connections, and body manipulations to learn how to safely and successfully execute different movements in Sensual Bachata. If interest is high, we may create an ongoing group class series in Towson! We do our best to fit in one set of Intensives per Quarter at the very minimum. These Intensives are designed to focus a lot of technique as we do four hours of class on Saturday, and then four more on Sunday. We may not always get to do a lot of moves or material, but it is important to Kat that she teaches technique so that the material you do learn is done correctly. Material changes at each Intensive and we always leave exhausted, happy and super sweaty. This Beginner Salsa Boot Camp goes over your basic steps and basic partnering to get you to a place of confidence in your Lead or Follow. With lots of repetition and music, this class is geared to those looking to improve their foundation, or to create one. Bring your water bottle and snacks for 3 hours of dancing! !